Google is a money making machine; that is why it has tremendous influence in the online ecology. Google has a lot to teach the world about relevance, credibility, value & user experience. However, Google isn’t a training company; it derives more than 90% of its revenues from advertising. It’s fascinating that Google makes most of its money from advertisers (sellers) but is forced, like every media company, to think primarily about the experience of its audience (buyers). When buyers “buy naturally,” and sellers “sell effortlessly” you have the ideal human-computer interaction. Interaction occurs in a non-linear system that delivers exactly what prospective buyers need, when they need it, so they can accomplish their goals in the manner most comfortable to them. That’s a user experience we (everyone from IAs to designers and even marketing folks) can all buy into if our interests were truly aligned. Google needs to train advertisers to do a better job while maintaining its revenues. So how is Google “training” advertisers? With sticks, not carrots. Theoretically at least, advertisers and searchers interests should be aligned. After all, an advertiser pays for an ad placement based on context. If Company A is advertising for widgets, when people search for widgets they should be able sell tons of widgets. That’s the theory. In practice, the user experience of paid ads is tragically broken; just go ahead and see how many paid searches send you to a home page or a generic landing page. That hurts Google’s reputation for relevance. Google suffers when advertisers fail to deliver a good user experience. Google’s solution to this problem is Quality Score (“QS”). QS acts like a tax for those advertisers too lazy, too structurally rigid, or just too misinformed to deliver relevant answers to searchers queries. QS is based on an algorithm that scores the value of the user experience the advertiser is creating from clicking on the ad to the target page. QS weights the value of a bid in the auction for ad placement and forces the advertisers delivering the worst user experience to pay more than those with better user experiences competing for the same query. The penalties are substantial; we’ve seen advertisers penalized more than 60% of their paid advertising budget; sometimes they weren’t even aware. Bryan Eisenberg and I have been thinking a lot about Google’s Adwords program, QS, and it’s consequences. It’s encouraging us to think that designers, developers, content creators and marketers may wind up on the same page someday soon. Substantial penalties piled on top of large budgets have a way of forcing even those most entrenched in status quo to change. You might also find it as encouraging as we do if we explain how we perceive the difference between conversion—which is mechanical—and persuasion that is based on a holistic user experience. Conversion has only recently become the must-have piece of the pie. You could see it gaining interest when Call To Action, cane out in 2006. In the last few years, it’s become mainstream. When we started our former company in 1998, we never imagined that it would take so long. Unfortunately, we’re not all on the same page yet. The ability to achieve truly dramatic improvements in conversion rates still requires a shift in “conventional” thinking. Design teams need to understand that while the goal may be conversion, the practice must be persuasion. Conversion is all about “the click.” We all understand the macro-level conversion, which is the business’s site objective. But it is important to realize that conversion also takes place at the micro-level—every single relevant click pulls the user deeper into the buying decision process. It’s imperative for sites to persuade prospects with each and every click. Conversion is what the user does; it’s the “take action” part of the buying decision process. At the macro-level, the visitor converts from prospect to buyer. Helping prospects convert involves making it easier for them to buy by getting out of their way. Getting out of the way usually entails a copy, usability, or information architecture adjustment. As we worked with clients in the early days of our business, we began to realize we could remove the obstacles to conversion, but that would only take us so far. If conversion is fundamentally about completing your linear scenarios, and people rarely go about accomplishing their goals in a linear fashion-how are you designing to address the buying process behavior of the majority of these non-linear prospects? Consider this example: A site selling seminars, a complex selling scenario successfully funnels a majority of its traffic to a registration form, but few prospective attendees who land on that page complete the form and click through. The page rejection rate is staggering. Thinking they have a conversion problem, the company performs a variety of A/B tests on the form page with little success. Nothing they do to “fix” the conversion problem yields significantly improved results. They imagine themselves at a conversion dead-end. In this situation, the problem isn’t always the form; assuming the seminar is a good one it’s the scenario visitors participate in before they reach the form. Perhaps prospective attendees haven’t acquired enough information or developed sufficient confidence to feel comfortable completing registering yet. Hopefully they would realize that this linear sales process is undermining their prospective attendees’ non-linear buying decision process—the site is failing to persuade before it attempts to convert. Persuasion is about meeting the buying needs of your audience. It’s a non-linear, multi-branched, integral part of your selling process—you present relevant information for your buyers in a way that suits you as the seller and hopefully allows you to make the case for buying from you. Non-linear scenarios are the ones visitor segments create as they navigate your website. In this type of scenario we measure conversion differently, from where people enter to where they complete the intended scenario and whether or not they hit our key value pages. The goal is to focus on cumulative conversion rates for the website instead of simply an average conversion rate. This is accomplished by explicitly planning these non-linear scenarios, or persuasive design. When we dissect the buying process into its component parts for each persona, then measure those micro-conversions in the click-stream, not only can we better understand how well we are persuading but we can also segment our conversion rates by persona segment. Persuasion is the next step in conversion rate marketing’s evolutionary chain; it’s the stage where we evolve beyond primitive relevance and weave into the user experience a compelling force that delights users. You may clear every last one of your conversion hurdles, but you will still face the question of how you move your prospects from click to click, how you orchestrate persuasive momentum. Building persuasive, persona-based scenarios that allow prospects to “buy naturally” is the only way to achieve the dramatic results that are possible when you think beyond conversion. From a conversion perspective, the designer now asks, “How do I build a single pipeline, or experience, that gets me the highest conversion rate?” From a persuasion perspective, the designer will ask, “How do I build multiple experiences that give me the highest conversion rates overall? It’s the difference between trying to increase your conversion rate from 2% to 4% (a 100% increase) and imagining what small percentage of all your visitors you will have to write off because they are simply “unconvertible.” Reach for only 4% or 100% of those intending to buy? The future is not about optimizing conversion, nor about maximizing conversion, it’s about spectacular user experiences that convert effortlessly from the users point-of-view. We are among the small community advocating that point-of-view for years but that future will most likely be driven not by people like us but rather by how an algorithm determines the quality of user experience. We’re feeling confident change is on the way and if it wasn’t for Google’s algorithm you might call that naive. Published here on August 24, 2010. 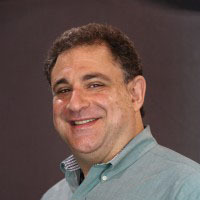 Jeffrey Eisenberg is the CEO of BuyerLegends.com, a conversion-centered customer experience design training company. He co-authored “Waiting For Your Cat to Bark?” and “Call To Action” both Wall Street Journal and New York Times bestselling books. His latest book is “Buyer Legends: The Executive Storyteller’s Guide”. He’s trained and advised companies like HP, Google, and GE Healthcare to implement accountable digital marketing strategies emphasizing optimization of revenue conversion rates for engagements, leads, subscriptions, and sales. The User We’ve Left Out: The Content Governor by Jared M. Spool Jared M. Spool discusses the concept of including a content governor as one of your users.